This article originally appeared in the March 25, 2019 issue of SpaceNews magazine. The NC3 system includes terrestrial and space-based sensors that monitor the globe for threats, and a communications architecture that connects the nation’s decision makers to nuclear forces under any conditions. It is a classified system designed in the 1960s and 1970s during the height of the Cold War and is projected to stay in service for years to come. 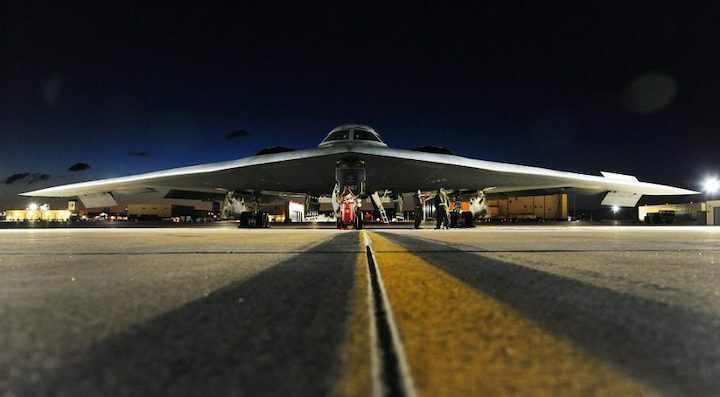 The technology is aging, however, and needs to be modernized so it can connect to the next generation of nuclear platforms the Pentagon is developing and expects to start deploying in the mid to late 2020s: the B-21 stealth bomber, the Columbia-class strategic ballistic missile submarine and the Ground Based Strategic Deterrent intercontinental ballistic missiles. The Congressional Budget Office projects the United States will spend $494 billion over the next decade to maintain and update its nuclear forces. Some $77 billion of that total is for the NC3 system. STRATCOM Commander Gen. John Hyten has described NC3 modernization as one of the toughest challenges facing DoD and one that must be dealt with sooner rather than later. He noted that the new platforms of the nuclear triad, as modern and capable as they will be, cannot provide convincing strategic deterrence unless the United States also possesses an effective and robust NC3 infrastructure. STRATCOM’s task is to design an NC3 blueprint. The command does not have acquisition authority, so buying the required hardware and software will be handled by the individual military services. To get the work started, STRATCOM created an NC3 Enterprise Center inside the command’s headquarters at Offutt Air Force Base, Nebraska. At the helm of the center is Elizabeth Durham-Ruiz, STRATCOM’s director of command, control, communications and computer systems. She manages over $20 billion of on-orbit communications assets and implements communications and information policies across the command. A graduate of the U.S. Air Force Academy who retired from active duty in 2007, Durham-Ruiz is a member of the federal government’s Senior Executive Service and was recently named director of the NC3 Enterprise Center. Durham-Ruiz leads a team of policy and technology experts that has been assembled to help design the future nuclear command and control architecture. She recently spoke with SpaceNews. What is the NC3 Enterprise Center and why was it created? The center is a new organization that was created to help break down stovepipes across the Defense Department. It is based at Offutt Air Force Base with a second location in the Washington area. There are multiple organizations currently responsible for operating, procuring and building different elements of the NC3 enterprise. We want to bring a holistic focus on operations, requirements, systems engineering and integration, and analytics for the entire enterprise. The staff is small. We are leveraging the expertise in the military services and in the Office of the Secretary of Defense who have been doing a lot of these activities already. What is the immediate goal of the NC3 Enterprise Center? We have to design the next-generation NC3 architecture. The architecture comprises the computers, the communications, all the systems that assist N3C in delivering information from sensors to decision makers. We are taking an end-to-end look at the architecture: the connections between sensors and the transport layers all the way out to the nuclear triad platforms. We must then define the future architecture. It’s like a blueprint for your house where you have to figure out the piping and circuitry. After we develop the blueprint, then we have to work with the military services to determine how we’re going to technically provide the solutions. The Air Force oversees the majority of the NC3 components today. When does the new NC3 architecture have to be completed? The goal is to define the architecture this year. But we’re just getting started. Gen. Hyten likes to talk about the fact that the architecture is very old but it’s functioning amazingly well for as old as it is. It’s been through great effort that we have been able to keep this functioning as well as it has been. But in the future, of course, everything will have to be replaced. The timelines for that have not been decided. After we develop the architecture, we have to work to define the individual parts and work through the services to ensure the technologies are purchased. That will be a long process. There are more than 100 programs that make up the NC3 system today. Is the Congressional Budget Office’s $77 billion estimate for the future cost of modernizing NC3 accurate? The cost of NC3 is spread across many organizations. There is no consolidated NC3 program line in the Pentagon’s budget. We’re very early in figuring out what it will cost in the future. We can’t do that until we have the architecture and the systems defined. The Congressional Budget Office put out an assessment based on the best information they had. We’re in the process of collecting additional information and defining that architecture so we can get a better idea of costs in the future. We don’t have that yet. It’s just too early. How will you transition the legacy NC3 to a new system? That is part of the discussion. The transition plan is key. We have to make sure that we continue the system we have today, which is very reliable. We are not going to do anything to jeopardize the reliability of the system. We are committed to having connectivity to our nuclear triad consistently all the way through this transition. In order to do that, we absolutely have to make sure we have a viable solution and a transition plan. As far as what the future systems will be, what new satellites or sensors might be developed, it is too early to say. Gen. Hyten has said he wants the NC3 program to “move fast.” What did he mean by that? What he means is that we have to break down the stovepipes now in order for NC3 to move fast. He wants to see an integrated vision. That’s how we’re going to go fast — by having everybody in the same room, making sure we are on the same sheet of music. Gen. Hyten wants to ensure that we move ahead but also that we have assured connectivity to the nuclear forces. All three legs of the nuclear triad are undergoing upgrades. We have to get the NC3 defined and the solutions in place so we can support those weapons systems when they are fielded. We need the elements of the nuclear triad to know how they are going to interconnect with the NC3 system. We need to make sure they are well equipped to be ready to connect to the next-generation technology. What do you consider the biggest challenge in this program? The challenge is to get the stakeholders aligned so that we’re all going forward in the same direction. We know we can get the technology but getting everyone to agree on a plan is the challenge. I will tell you that I have a very strong feeling that the stakeholders are aligning very quickly and understand the urgency with which we have to move out as a nation on this very hard problem. They understand we have to push forward and bring the best in the business to this. I’m seeing a great sense of purpose and commitment across DoD to help Gen. Hyten and the NC3 Enterprise Center get on with it. He has been visiting national laboratories, university research centers, industry venues, venture capitalists. He sees that these organizations want to help. They understand the problem the nation is facing and they want to be part of this. They want to provide assistance in the thought process. It’s not just about selling the next best thing.